We the people of Great Britain need to understand some pretty important facts in relation to how a nation which has stood for over a thousand years, or to be precise if we include the Molmutine Laws, over 2480 years give or take a few. 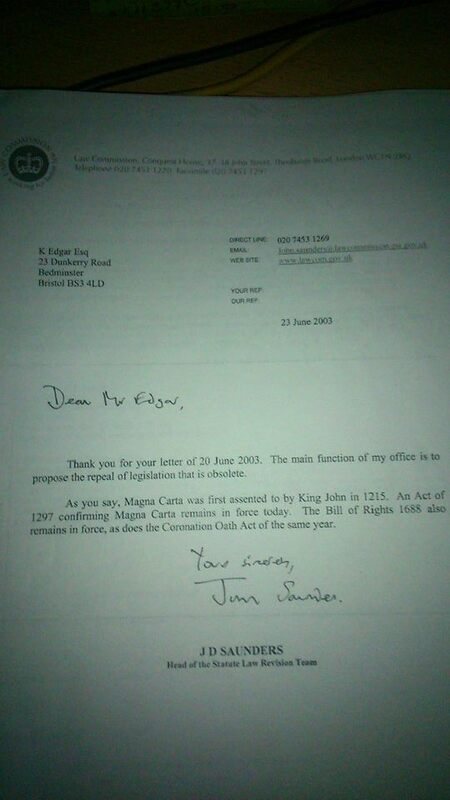 Since 1215 and the forced signing of the Magna Carta by King John, forced by the established barony of the day, we can conceive a realm held together in charter and statutes bound together into a common law. In 1689 the Coronation Oath Act was created 1701 The Act of Settlement made a statutory requirement on the monarch to take the Coronation Oath and was taken by both William and Mary in 1689. The office of monarch has the main duty of ensuring everything beneath that office operated according to the law of the land. 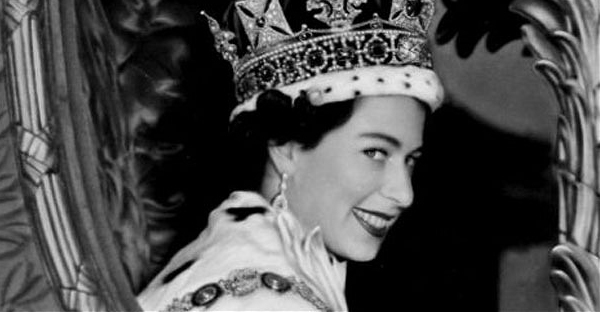 The system as a whole is bullet proof save for treason at the very top, today we are witnessing the effects of just such action which comes in the fact that the coronation oath was modified without statutory authority, first in 1936 with the father of Elizabeth and continued with Elizabeth. Both swore a slightly different oath to the 1689 version. This translates to the fact, Great Britain does not have a constitutional monarch with the aim of upholding the realm, what we have is a private organisation having their own partner holding the office of British monarch, with all the powers thereof, yet has no obligation to uphold the realm, in fact the agenda is to demolish the realm and replace a nation with a corporation; The United Kingdom Corporation Sole, itself an agent of the Crown and by definition of that fact is also an entity to which Elizabeth, unlawfully, is duty bound to uphold. If it was not so then signatures to the European Union, NATO, the United Nations etc could not have been given royal ascent, a role that is the sole duty of the sitting monarch. The British Realm has suffered this position outwardly since 1936. It then follows through that the offspring to this House have no rite to succession. This could be as many have suspected, to position Charles in power behind a more acceptable personage to the British people in his son William. Marriages of members of the Royal Family are still not in the same position as marriages of other persons. Such marriages have always been expressly excluded from statutes about marriage in England and Wales and marriages abroad, and are therefore governed by the common law. This means that in England and Wales such a marriage can be validly celebrated only by a clergyman of the Church of England. A civil marriage before the registrar, and marriage according to the rites of any church other than the Church of England, are not possible. That aside given Elizabeth did not take the correct oath to become the monarch of Great Britain, then William is also void from becoming King, there is no succession through Elizabeth. I have written for some years now that in order we can solve these issues in a manner that would prevent such fraudulent behaviour by the wealthy elites, would be to form a new constitution in line with our ancient and current laws of right with the full and complete consent of the British Christian population, to then place the constitution itself on the throne of this nation which will allow our existing and ancient system to remain in place. The basis for the coronation oath, which forms part of the coronation ceremony, is enshrined in statute in the Coronation Oath Act 1689. 9 This Act required the King William and Queen Mary, as joint monarchs, to swear an oath during the coronation ceremony. The Act of Settlement 1701 and the Accession Declaration Act 1910 make a statutory requirement on the monarch to take the coronation oath. 10 The text of the oath as set down in the 1689 Act is appended to this note. The text includes the promise that they would to the utmost of their power to maintaine the Laws of God the true profession of the Gospell and the Protestant reformed religion established by law […] and […] preserve unto the bishops and clergy of this realm and to the churches committed to their charge all such rights and privileges as by law do or shall appertain unto them or any of them. (5) to preserve unto the bishops and clergy of England, and to the Churches there committed to their charge, all such rights and privileges as by law do or shall appertain to them or any of them.The monarch is also bound by oath to preserve the Presbyterian Church in Scotland. 1 See para 26 ante. 2 The coronation oath must be taken at the coronation under the Act. As to the statutory form of the oath and the alteration in the oath as at present administered see para 39 note 3 post. As to the citation of the Act of Settlement see para 35 note 3 post. 3 By the Act of Settlements, it is declared that whereas the laws of England are the birthright of the people thereof and all the kings and queens who shall ascend the throne of this realm ought to administer the government of the same according to the said laws and all their officers and ministers ought to serve them respectively according to the same the same are ratified and confirmed accordingly. As to the Crown’s duty to exercise the prerogative in conformity to law see para 368 post. 4 The duties as set out above are based on the oath in the Form and Order of Service in the Coronation of Queen Elizabeth II, 1953. These duties incorporate the duties set out in the coronation oath enacted in the Coronation Oath Act 1688 s 3. (5) it is also provided as a fundamental term of the union of England with Scotland that every person who succeeds to the Crown must take and subscribe the oaths for the preservation of the Established Church in England and the Presbyterian Church in Scotland. 1 The terms of the Act of Settlement are any person who shall be reconciled to, or hold communion with, the see or Church of Rome, or profess the popish religion, or marry a papist’s. As to the citation of the Act of Settlement see para 35 note 3 ante. 2 This is the joint effect of the Act of Settlement s 2, and the Bill of Rights. As to the history and citation of the Bill of Rights see para 35 note 3 ante. The form of the oath is provided by the Coronation Oath Act 1688 s 3, and must be by the Archbishop of Canterbury or York, or any other bishop of the realm appointed by the monarch for that purpose, in the presence of all persons attending, assisting or otherwise present at the coronation s 4. The form of the oath as at present administered differs from that provided by the Act owing to the disestablishment of the Irish Church (by the Irish Church Act 1869), and to the provisions of the Union with Scotland Act 1706 art XXV. As to the oath for the preservation of the Established Church of England see the text and note 6 infra. For the form of oath as administered to Her present Majesty see para 28 ante. The declaration was made by King George V at the opening of Parliament, and therefore the necessity for making it at the coronation did not arise:7 HL Official Report (5th series) col 4. The same was true in the case of Elizabeth II. King George VI made the declaration during the coronation service: see Supplement to the London Gazette, 10 November 1937, p 7054. For the purposes of any enactment requiring an oath or declaration to be taken, made or subscribed by the monarch on or after the accession, the date on which the monarch attains the age of 18 years is deemed to be the date of the accession: Regency Act 1937 s 1(2). However, it should be noted that the monarch has no minority, and his exercise of the prerogative is valid even if he has not attained 18 (see 5 Co Litt 43a, b; 2 Co Inst, proem, 3; 1 BI Com (14th Edn) 248), although the Regency Acts (see para 40 post) mean that the prerogative is exercise in the monarch’s name while the monarch is under 18. By 28 Hen 8 c 27 (Succession to the Crown) (1536), power was given to future monarchs to revoke all enactments made by Parliament whilst they should be under the age of 24. This enactment was repealed temporarily by Edw 6 c 11 (Repeal of 28 Hen 8 c 17) (1547), and both these statutes were determined and annulled by 24 Geo 2 c 24 (Minority of Successor to Crown) (1750), s 23 (repealed). 6 See paras 51, 53 post. The oath for the preservation of the Established Church of England is now administered as part of the coronation oath: see text and note 4 supra. The oath for the preservation of the Presbyterian Church was taken by Queen Elizabeth II at a meeting of the Privy Council held immediately after her accession, the instrument being subscribed in duplicate, and one part sent to the Court of Session to be recorded in the Books of Sederunt, and afterwards to be lodged in the Public Register of Scotland, the other part remaining among the records of the Council to be entered in the Council book: see the London Gazette Extraordinary, 8 February 1952, p 839; London Gazette, 12 February 1952, p 861. 3. Form of oath and administration thereof Will you solemnely promise and sweare to governe the people of this kingdome of England and the dominions thereto belonging according to the statutes in Parlyament agreed on and the laws and customs of the same? I solemnly promise soe to doe. Arch bishop or bishop, Will you to your power cause law and justice in mercy to be executed in all your judgements. King and Queene, I will. Arch bishop or bishop Will you to the utmost of your power maintaine the laws of God the true profession of the Gospell and the Protestant reformed religion established by law? And will you preserve unto the bishops and clergy of this realme and to the churches committed to their charge all such rights and priviledges as by law doe or shall appertaine unto them or any of them. King and Queene. All this I promise to doe. King and Queene. The things which I have here before promised I will performe and keepe Soe help me God. Madam, is your Majesty willing to take the Oath? And the Queen answering, I am willing. The Archbishop shall minister these questions; and the Queen, having a book in her hands, shall answer each question severally as follows : Archbishop. Will you solemnly promise and swear to govern the Peoples of the United Kingdom of Great Britain and Northern Ireland, Canada, Australia, New Zealand, the Union of South Africa, Pakistan, and Ceylon, and of your Possessions and the other Territories to any of them belonging or pertaining, according to their respective laws and customs? Queen. I solemnly promise so to do. Archbishop. Will you to your power cause Law and Justice, in Mercy, to be executed in all your judgements? Queen having thus taken her Oath shall return again to her Chair, and the Bible shall be delivered to the Dean of Westminster.